PhD Research Fellowships at University of Sydney 2019 | Click Here to Apply. 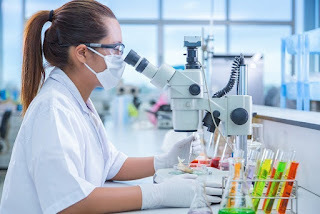 PhD Research Fellowships 2019… Are you interested in pursuing your Postdoctoral research in Australia? If yes, here’s an opportunity for you. The University of Sydney invites application from students who want to undertake their Postdoctoral research programme in the Institution. The University of Sydney Postdoctoral Research Fellowships is now available and encourages applications from any discipline or research area. A total of 10 fellowships will be awarded to Australian and Overseas students. Applicants must have a PhD award dated no earlier than 1January 2013 and no later than 19 August 2018. PhD award/conferred date is defined as the date on the testamur. Applicants must obtain the endorsement of a proposed supervisor before applying. Refer to ‘Preparing an application’ below. Strong preference will be given to applicants seeking to join the University from another organisation in Australia or from overseas. However, applicants currently employed at the University of Sydney or other affiliated institutions (including medical research institutes) who commenced such employment after 1 July 2017 is eligible to apply. Applicants with a PhD awarded by the University of Sydney may only apply if they have held a paid position with another organisation subsequent to the award of their PhD. Download the relevant templates from the application link on the Fellowship page. Find a University of Sydney academic supervisor– A supervisor is a current University of Sydney academic who agrees to endorse your application and intends to act as your academic supervisor for the duration of your Fellowship. Please contact them directly for a brief written endorsement that indicates how you would be able to contribute to the relevant Faculty, centre or multidisciplinary initiative (see endorsement letter template).You do not need to contact the centre or initiative directors. Associate Deans of Research and Multidisciplinary Initiative Directors may also fill in the endorsement template, but must then name an academic supervisor for the candidate. Submit your application through our online system by 11.59pm AEST Sunday 19 August 2018. Signed letter of endorsement from your proposed academic supervisor OR a Multidisciplinary Research Initiative Director OR Associate Dean of Research. Please use the template provided. Applications without a signed letter will not be considered. Career interruption details and supporting evidence if relevant. One referee report (please use the template provided). A referee should be selected based on their capacity to comment on the intellectual calibre and quality of your work, track record relative to opportunity, and your potential to be internationally competitive for subsequent fellowship applications (i.e. within the top 10-15% of their field). A nominated supervisor cannot be a referee.